Apple might have a better explanation for what happened during the launch of iPhoneX. but still, Face ID is going to be a heavily scrutinized and criticized feature in the new iPhone X, so much so that Apple might regret not putting a fingerprint scanner on the back of the device. But honestly these things happen. Just after then,and apple couldn’t help the situation anymore. But just in case your wondering what needs to be done.Apple has released a newly refreshed privacy page. Which has an updated information, which the company has released earlier on Face ID since the lunch of iPhone X . The updated information come from a new support page and a technical white paper on Face ID security, mentioned during the keynote and currently live on Apple.com. The update which is written on up to six pages, the paper walks through the various privacy and security measures embedded into the new face recognition system, including important information on how the new system works and how it will hold up circumstances under pressure. The most detailed information comes from the description of how the iPhone X stores face prints. In wide strokes, Face ID works the same way Touch ID did: the system reads your face (or faceprint), then creates a partial version to compare against future faceprints. It’s a purposefully incomplete picture, so even if you could extract the data, it would be impossible to fully reconstruct a person’s face. According to the updated paper, there’s also a random element to which information is retained, making it even harder to predict and spoof the system. Even more interesting is that the initial enrollment is just the beginning of the process. Once you’ve registered your face with the system, Face ID will update its model by occasionally pulling images from successful login photos. The white paper insists those updated face images won’t leave your phone, although they may be stored there for longer than usual. To improve unlock performance and keep pace with the natural changes of your face and look, Face ID augments its stored mathematical representation over time. Upon successful unlock, Face ID may use the newly calculated mathematical representation. if its quality is sufficient — for a finite number of additional unlocks before that data is discarded. Conversely, if Face ID fails to recognize you, but the match quality is higher than a certain threshold and you immediately follow the failure by entering your passcode, Face ID takes another capture and augments its enrolled Face ID data with the newly calculated mathematical representation. This new Face ID data is discarded after a finite number of unlocks and if you stop matching against it. These augmentation processes allow Face ID to keep up with dramatic changes in your facial hair or makeup use, while minimizing false acceptance. Some measures seem to acknowledge the possibility of an accidental unlock. Face ID is designed to work with Apple Pay, giving users an easy way to transfer money without typing in any passwords. But just looking at your phone won’t be enough to trigger a transaction. Apple Pay requires you to “confirm intent” by double-clicking the sleep button before holding the phone up to the payment terminal. It’s a smart protection to have, but it suggests Face ID is every bit as easy to accidentally trigger as the early demos indicated. The probability that a random person in the population could look at your iPhone X and unlock it using Face ID is approximately 1 in 1,000,000 (versus 1 in 50,000 for TouchID)…. The statistical probability is different for twins and siblings that look like you and among children under the age of 13, because their distinct facial features may not have fully developed. If you’re concerned about this, we recommend using a passcode to authenticate. In security terms, this is a pretty obscure line of attack. Even if you have a twin, it seems unlikely that an attacker could successfully enlist them in a scheme to unlock your phone. (Let’s call it a Bowfinger attack.) Still, the attack tells us something about Face ID’s limitations. Apple has built protections against printed photos and masks, but if there’s a real face with the same features as yours, it might slide through. That’s the price of a fast and seamless system. Many had speculated something along these lines, though some being quick to call this demo a “fail.” On stage, when Federighi tried to authenticate his face and it didn’t work, he quickly switched to the second demo device and everything ran smoothly from there on out. 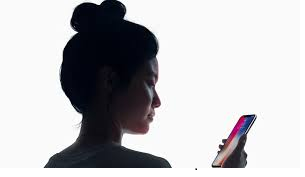 In the end, Face ID on the first demo model was working as it was designed to. Much like with Touch ID, when Face ID is unable to authenticate via face recognition, it will prompt for a passcode before attempting to recognize a face again. There are still a lot of unanswered questions — most notably how well Face ID will hold up across different races. According to Apple the device was tested in a system on a diverse set of a billion different photos, but like a host of other questions, we won’t have a solid answer until the iPhone X goes on sale next month. Facial recognition is a much trickier process than fingerprint scanning, but so far, Apple seems to be treating Face ID like a smarter, faster version of Touch ID. The question for Apple is, could this claim be true ? All kudos to Apple as we all wait for the distribution of the device around the world. Did you forgot the password for your iPhone, iPad, or iPod touch and your locked out ? here is what to do. Apple iOS 11.2.2 software Update to Arrest Vulnerabilities On Apple Devices. Apple working on iPad upgrade with Face ID. ← How Fast Is Your Internet Speed ?.